← Ram Charan provokes the HR world. We have all been raised to grow; in good health. Most of us have also been developed to perform well at school, to find a great job, to excel in a professional career, to make nice money and to have a great family life. In that order. Aiming for growth, setting goals and having specific desires are very natural and healthy things. The human kind needs to aspire. It is also generally accepted that we all perform better when we have clear goals and targets. And in general, we are happy when we achieve our personal and professional goals. Happiness is the reward. Though not always. So when is it getting wrong? In business life, the commonly practiced terms of ‘stretching goals’ and ‘stretching people’ is close to entering the danger zone. Same for ‘raising the bar’ and many other buzzwords. ‘Bigger, better, faster’ is red alert. So are ‘double digit EPS growth’ and the desire from a Chairman for a short term share price move from $20 to $25, to $35. Or from the CEO to increase this years’ productivity by 30%. But also in private life it becomes unhealthy when enough isn’t enough. Like the guy in the pup asking for –yet another- last Stella. Five isn’t enough. Nor is six or seven. He wants more. And more. A once-a-month visit from the Amazon or Zalando man isn’t enough. One week on the beach is too short. It should be two weeks and not with the old smartphone. I need to order the newest iPhone6. And does that make us happier? Does it bring more enjoyment? Dr. Jeniffer L. Patterson is questioning this in Psychology Today: “it is not inherently problematic to freely choose to aspire for “more” of certain objects, outcomes, and events. On the other hand, immoderation, compulsion, and addiction are highly likely to lead to trouble. As clinical psychologists, we have seen the wreckage in the wake of an inflexible pursuit of “more.” Rigidly chasing “more” can lead to missing out on enjoying what is already sufficient. Greedily amassing “more” can lead to the decay of what is already abundant”. It looks that we –in private and in business life- have somewhat forgotten the enjoyment of attaining goals. Short-termism has replaced the enjoyment of achieving something by setting yet other and higher goals and desires. We have turned life into a permanent fight. 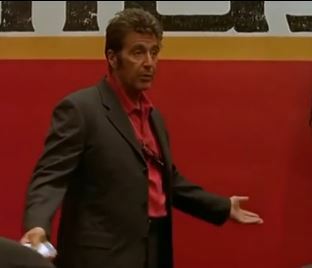 Look at most inspirational or leadership speeches; all talking about winning the game, moving from ‘good to great’, fighting for the last inch, etc. Because enough isn’t enough. Don’t get me wrong; personal growth is a very healthy aspire; so is growing business performance. But very few things grow endlessly. Trees don’t reach to the moon; nor does the man-made Burj Khalifa. We don’t get 10 feet tall. No –decent- companies have 100% market share. 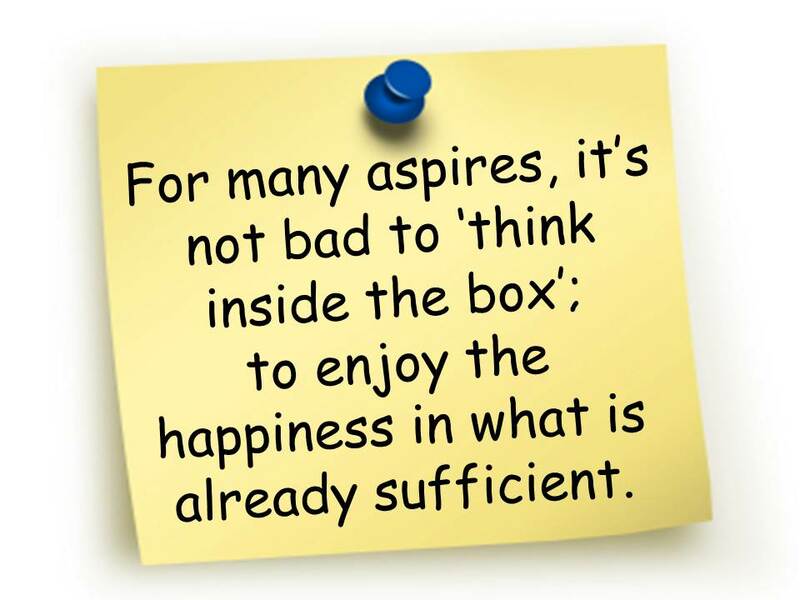 For many aspires, it’s not bad to ‘think inside the box’; to enjoy the happiness in what is already sufficient. And, to sometimes ‘let go’ instead of pursuing excessive, greedy and unfulfilling desires. It’s already proven that happiness is a lever for growth, performance and success. We probably just need to wait a few more years for further research to demonstrate that accepting and enjoying the ‘enough’, is a key driver for happiness. Picture credits (top picture): Any given Sunday. This entry was posted in addiction, CEO, goals, happiness, leadership, reward, values and tagged business growth, career growth, goals, happiness, leadership, performance, personal growth, reward. Bookmark the permalink. 1 Response to When enough isn’t enough. More Stella, more Zalando, more share, more profit.